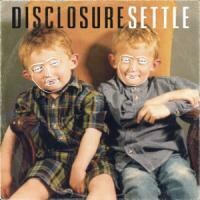 UK duo Disclosure marry familiar electronic touchstones to blissful pop vocals to make one of the year's best records. Settle, the debut LP from British brothers Guy and Howard Lawrence, is as perfect a summertime houseparty soundtrack as we’re likely to get in 2013. If that’s what you’re looking for -- pure pleasure-center appeal -- you can stop reading, put the record on, and guiltlessly enjoy Settle on that level alone. But like all great pop musicians, Disclosure knows how to tongue around the edges of genre, subtly exploring a wide range of sounds without ever interrupting the dopamine stream at their music’s center. There are pleasures for the head here, too, along with the heart and the hips. In a dance music world where it’s perfectly acceptable to make a career out of singles and remixes, Disclosure have clearly spent time crafting a front-to-back LP, one whose individual tracks work brilliantly on there own but that hits hardest when taken in one giant gulp. Settle isn’t a revolutionary album by any means, but its seamless integration of radio-ready pop and enough disparate strains of electronic dance music hurdles it miles ahead of the pack. The album’s touchstones are familiar -- primarily the glitched-out, woozy rhythms of UK garage and the strains of house music leading toward deep house -- and that familiarity makes for easy dancing and a breezy listen, particularly within the record’s fantastic sequencing. With that comfortable EDM palate, it’s the Lawrences’ gift for chart-friendly pop music that gives Settle its real power. And that gift has already paid dividends: in the run-up to the LP’s release, three of Settle’s best tracks made waves on the UK charts: “Latch” (#11), “You & Me” (#10), and “White Noise” (#2). The formula here is simple: Disclosure marries its joyous, lush production with -- here it comes -- pop vocals. If you want a Top 10 audience to embrace your song, give them something to sing along with. The choices on Settle are a smorgasbord. Sam Smith puts in a show-stealing performance on the record’s best song, “Latch", over-enunciating every syllable on the verses and shifting suddenly into a soulful falsetto on the chorus. (The first time he hits that vocal shift leaves me dumbstruck every time; it’s just a perfect moment of ebullience.) Aluna Francis of similarly quickrising UK duo AlunaGeorge lends a girlish lightness to the dour lyrics of “White Noise”. Eliza Doolittle gives a surprisingly R&B-tinged performance on “You & Me” -- more so, actually, than R&B crooner Jessie Ware’s restrained but effective turn on “Confess to Me”. Aside from Smith’s bravura work on “Latch", the most emotionally evocative vocals belong to London Grammar on the record’s bittersweet, blissfully melancholy closer, “Help Me Lose My Mind”. Disclosure’s curatorial talents are at least as strong as its actual musical muscle, with Settle’s cast of collaborators always hitting their mark but never stealing the show. All the songs here have one foot firmly planted in pop territory, but the tracks that reach further into club territory work just as well. “When a Fire Starts to Burn", with its looped vocal sample, might be the most potent gallon of dancefloor fuel on the record, while Howard Lawrence’s surprisingly smooth performance on “F for You” keeps things sultry enough for a particular kind of dancing. The album’s most straightforward house material, “Defeated No More” and “January", are immaculate, crisp slices of callback ‘90s-laced delicacies. Crucially, these songs blend with Settle’s poppier numbers with no trouble at all. It’s a sort of unfussy magic. We don’t always need the best dance record of the year to push the genre forward into unseen territory; it’s hard to see anyone besting Settle for the title in 2013, and it’s just as hard to argue we need much more from a record than the unadulterated joy pulsing through every beat here.